Your teachers for the May 2019 TADAH Hoop Intensive are…. Buket Rin has a great repertoire of workshops and adds more to them each year. She is an experienced hula hoop instructor who has taught in many circus, fire and hula hoop conventions. 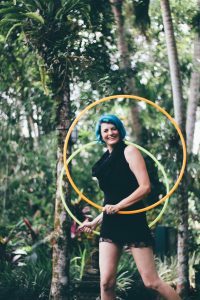 Not only does she teach individual workshops but also holds hoop intensive weekends to go deeper into many aspects of hula hoop dance. The workshops that she teaches are: Multihooping, circus hooping, fire hooping tips and tricks, mandalas, acro-floor-foot hooping and flexibility, fancy wedgies, sustained spinning, unexpected hoop combos, movement and stage presence, doubles and more. 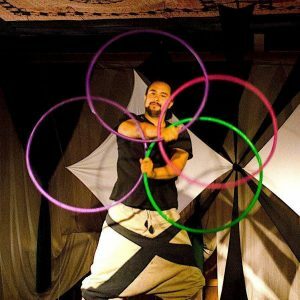 Michael Hayataka, AKA That Hoop Guy. Mike has been hooping for over 8 years. With his unique style and liquid flow he’s now taking his over 6 years of teaching experience to the flow community. His analytical teaching style informs intuitive, hard to explain concepts, through single technique-based breakdowns. Emma was one of the teachers at the first TADAH hoop intensive and we’re thrilled to have her back.